>What is it about babies and the love of really repetitive boring books? 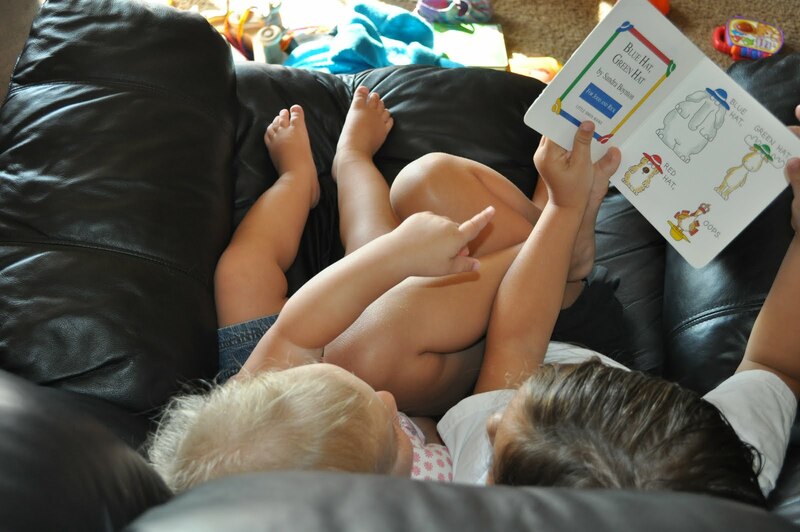 I enjoy reading to the girls, and Thea is LOVING books lately. She is constantly bringing me books to read to her, and I think it’s great! She is learning lots of animals and can make lots of animal sounds. My favorite is when she sees a duck, she sticks her hands in her arm pits and flaps her wings when she quacks…SO CUTE! 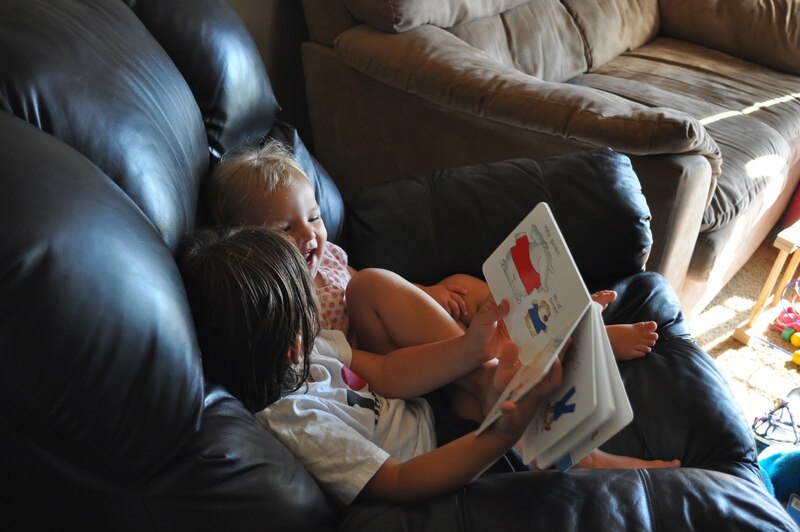 Anyway, there are times when it is difficult to stop everything and sit down to read a book, but I have learned that there are benefits to the lame books that Thea loves most…her sister can “read” them to her! How sweet is this?! >That is way cute. I've already started looking for kid books and have decided against buying several because I didn't think I could take reading them over and over again. 🙂 Have you heard of the Carl books with Carl the rottweiler dog? They have almost no words but are very vividly illustrated so you kind of get to narrate your own story based on the pictures. They might be fun for little "readers" who aren't old enough to actually read words yet. >So cute! Ian does the same thing with Annaliese and it's one of my favorite things to sit and watch.